Anthony DeStefanis is an Assistant Professor of History at Otterbein University. He is currently working on a book entitled Guarding Capital and the Empire: Soldier Strikebreakers on the Long Road to the Ludlow Massacre. His latest article, “The Road to Ludlow: Breaking the 1913-14 Southern Colorado Coal Strike,” appears in the September 2012 issue of the Journal of the Historical Society. The 100th anniversary of the Ludlow Massacre was this past Sunday. I attended a symposium held in Pueblo, Colorado to commemorate the anniversary of the destruction of a tent colony that the United Mine Workers of America built in Ludlow, Colorado to house striking miners and their families after they had been thrown out of company housing when they went on strike in September 1913. The Colorado National Guard, who had been called out to break the strike, killed twenty people in the colony and set it ablaze on April 20, 1914. More than 100 people from all walks of life attended and participated in the Pueblo symposium, and there were musical performances and book and poetry readings in addition to scholarly presentations. I met a grandniece of Charlie and Cedi Costa, who were killed at Ludlow along with their two children, and she raised a question about whether or not Ludlow was a massacre. She thought that it was, and most symposium participants seemed to agree with her. Some recent scholarship on Ludlow, however, claims that the destruction of the tent colony and the killing that came with it did not, in fact, constitute a massacre. In Blood Passion: The Ludlow Massacre and Class War in the American West, journalist Scott Martelle, who was at the symposium, asserts that the UMWA played a crucial role in cementing the image of a massacre in the public mind after Ludlow. According to Martelle, a trio of pro-labor explorations of Ludlow by Barron Beshoar, George McGovern and Leonard Guttridge, and Zeese Papanikolas also had a “tremendous impact on historical perception of the events in southern Colorado, in many cases affirming union publicity efforts.” As Thomas G. Andrews points out in Killing for Coal: America’s Deadliest Labor War, other important figures contributed to creating the “Ludlow as massacre” narrative. Upton Sinclair wrote two novels about the 1913-14 southern Colorado coal strike that excoriated the miner operators, Woodie Guthrie penned “The Ludlow Massacre,” which he released in 1946, and Howard Zinn wrote his master’s thesis on Ludlow and has published several book chapters about the strike. Martelle concludes that these left-leaning scholars and artists have succeeded in making it “a given . . . that the deaths of the women and children in the Ludlow fire constituted a massacre.” For Martelle, the deaths of fourteen women and children and six striking miners and union officials at Ludlow were not a massacre, but instead were “the result of criminally negligent acts by the Colorado National Guard, private mine guards, and strikebreakers as they torched the camp.” He also makes clear that the miners gave as good as they got during the strike. Martelle should be applauded for trying to remove the yoke of victimhood from the miners’ necks, but he conflates those killed in the ten-day insurrection that followed Ludlow with those killed at Ludlow on April 20, 1914. It is important to remember that the UMWA along with Sinclair, Guthrie, Beshoar, Zinn, McGovern and Guttridge, and Papanikolas wrote and sung about a Ludlow Massacre, not a 1913-14 Southern Colorado Coal Strike Massacre. In Killing for Coal, Andrews also questions how the events at Ludlow have been remembered. He explores the dueling narratives of the strike that began to emerge immediately after Ludlow and how the Rockefeller family, who owned the largest coalmining company in southern Colorado, tried to cast the events at Ludlow as a battle rather than a massacre. Still, it is clear that the American labor movement and the scholars and artists who wrote and sung about Ludlow succeeded in casting Ludlow as a massacre, making it a rare instance in which history was not written by the victors. Killing for Coal is a fine book, and like Andrews, my goal in my forthcoming book, “Guarding Capital and the Empire: Soldier Strikebreakers on the Long Road to the Ludlow Massacre,” is to place the events at Ludlow in a larger context that pays close attention, as Andrews does, to the development of the coal mining industry in Colorado and the strife that it produced. 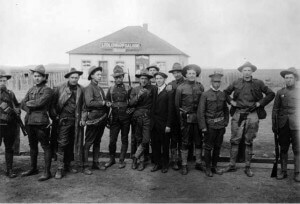 My larger context, however, also includes the Plains Indians Wars, the wars in Cuba and the Philippines, the development of the National Guards as strikebreaking forces in the U.S., the Colorado National Guard’s history of strikebreaking before the 1913-14 coal strike, and how the mining industry’s vast power shaped Colorado politics. Only by understanding this context, I would argue, can we understand why the UMWA and southern Colorado’s coal miners began referring to a “Ludlow Massacre” in the first place. For them, “massacre” conveyed how outrageous the killing and destruction at Ludlow was. These miners, their families, and their union understood that like the United States, Colorado was a functioning democracy in 1914. Still, the military arm of that state, which had made violence a central strategy in their efforts to break strikes before, again employed violence and intimidation for months before Ludlow to break the strike. It did not matter to the Colorado National Guard that the state’s coal miners died on the job at a rate that was 3.5 times the national fatality rate in the coal mining industry or that the mine operators dominated every aspect of their employees’ lives. The Colorado National Guard also was not obligated to break this strike; they worked for the state of Colorado and its residents, not for southern Colorado’s mine operators, and the mine operators had no formal control over the National Guard. The Colorado National Guard had to choose to break the strike and to do so in a way that made Ludlow possible. That was a choice they made, and that choice led directly to the killing at Ludlow. Seen this way, arguing about what we call the events of April 20, 1914 in Ludlow, Colorado drains them of their power and significance. We should let these coal miners and their union have the last word on what we call what happened to them. That word is massacre. I just returned from an invigorating commemoration of the Ludlow Massacre of 1914, hosted jointly by Colorado State University-Pueblo and El Pueblo Museum. For me it started with a Friday afternoon provocation from Scott Martelle. 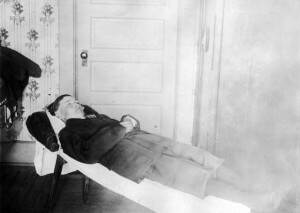 Martelle reminded us of his assertion in Blood Passion that he does not consider "massacre" the correct word for the events of April 20, 1914: “Rather than the intentional execution of a large number of people, the deaths seem most likely to have been the result of criminally negligent acts by the Colorado National Guard, private mine guards and strikebreakers as they torched the camp.” This assertion, which got the most buzz from the attendees and was the basis for a number of discussions and debates among participants, is one that I think is important to be addressed—and rejected. For Martelle, the argument is part of a wider call, shared by historian Thomas Andrews, author of Killing for Coal, for viewing workers as agents rather than victims. They remind us that workers fought and that more innocent victims, guards and militia were killed in the wider strike than were strikers. They hope to decenter the massacre and replace it with a wider treatment that examines the use and causes of violence in the struggle against coal companies. The essential argument suggests that workers in the strike were fighting back with guns during April 20 and weren’t defenseless throughout the entire strike, that they deployed violence too. This both spreads responsibility and agency for the violence and asks us to explain it. Both authors allege that previous treatments have hidden this part of the story including the 10 day war that followed April 20. At the conference, Martelle ticked off the names and circumstances of some of the dead and asked us to ponder whether violence worked for either side in these cases. The noun form of the word massacre, unlike the verb, doesn’t need any intentionality. It is “an indiscriminate and brutal slaughter of people,” usually with the recognition that one side holds overwhelming force against the other. Only the verb form seems to suggest the need for the “intentional execution” as Martelle alleges. The events of April 20, 1914 meet the noun definition. Moreover, labeling of an event as a massacre is always based on subjectivity and perception inherited from the past. To rescind this term from the events when it has been known as that traditionally suggests that we’ve learned something stunningly new in the history since the first designation of “massacre” immediately after the events of April 20, something that could force reconsideration from the inheritance. In fact, there isn’t anything new on that score in any of the recent books about the specific events that would force that kind of reconsideration. But what happened on April 20 could even fit the verb criteria. The soldiers torched the camps and that was the key factor that led to the deaths of the 13 women & children. Numerous witnesses testified that the soldiers took oil cans to extend the fire and make it complete without concern to check for anyone in the pits. It is true that Captain Philip Van Cise testified that participating soldiers claimed they had intended to destroy only the camp—that the deaths of the children and women was an accident. To use modern parlance, they were claiming it was “collateral damage.” But "collateral damage" has in the past and in the present not been an obstacle to labeling something a massacre. Eleven year old Frank Snyder crawled from his underground cavern beneath the Snyder family tent. As he did, a bullet ripped the back of his head off. His father later asked soldiers who were clearing the remnants to help him carry his dead boy’s body away, but the soldiers refused. Pearl Jolly, who was trying to aid the women and children, recalled that when the soldiers “kept continually shooting into the camp the women asked me to put a white dress on with red crosses” in the hope the soldiers would recognize the universal sign and it would be protection. The soldiers “could not help but see it. When I got out there they took it for to be a good target and shot at me as hard as they could.” These testimonies could join any number of horrifying points of evidence from witnesses to suggest the weight of history still shows that whether or not the men fought back with guns, this was intentional execution. Finally I would argue that decentering the massacre and concentrating on the violence afterward also decenters the role of women and children in the struggle. That’s why of all the accounts on the massacre and its wider context, the one I would recommend is still Priscilla Long’s Where the Sun Never Shines: A History of America’s Bloody Coal industry. The image of those women and children who were killed or endured this attack calls on us to recognize a different history than those presented in recent books, a history in which women and children were central to the struggle. Making the ten day war more central allows us to forget that one of the reasons men didn’t take a more armored position previously was because their families were sitting ducks, exposed to the militia. They fought back, but from the beginning, they fought back with their children exposed. Soldiers and hired mercenaries fought back without any harm to their families. It made it an incredibly uneven fight. Only when the women and children were refugees in Trinidad and elsewhere—after the Massacre--did it become possible to fight back with their full fury. 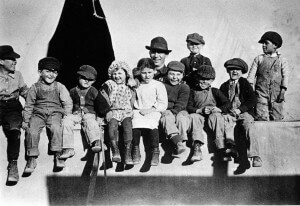 The children of Ludlow, some of whom were killed on April 20, 1914. Only by ignoring entire chapters in previous books can one make a claim that the union and historians have presented this as a story of “martyrology” and victimization. Barron Beshoar’s Out of the Depths has a chapter “Call to Arms” on the 10 day war, more pages devoted to it in fact than either Blood Passion or Killing for Coal. Priscilla Long, George McGovern, Zeese Papanikosas' Buried Unsung: Louis Tikas and the Ludlow Massacre and all the standard accounts from the mine union that I have on my shelves do more than acknowledge the 10 day war. Only by counting on the ignorance of historians and the general public about these previous accounts can such claims stand. Even the much maligned Howard Zinn uses the massacre not as a lesson in “martyrology” but about the “fighting spirit” of the union. The previous treatments consistently claimed that unionists before the massacre used restraint in the face of machine guns trained on them, searchlights as psychological warfare that they faced day and night, constant provocations intended to result in violence. The kind of weapons each side had is relevant. Workers may have had some guns during this struggle, but the other side had high power machine guns, the Death Special, the ability to deny habeas corpus and imprison anyone deemed necessary, the use of the courts in the local, state and federal government. So I will keep calling this the Ludlow Massacre. That to me is a central part of this story and is necessary to understanding the full story. In my opinion, it doesn’t detract from the agency of workers, but in fact enhances our understanding of how and why workers fought back in 1913-1914. For anyone who wants an account of the 10 day war and the long term aftermath, join facebook page, Mother Jones Lives. I’ll be sharing some information I find enlightening and stunning about these events for this, the page for the forthcoming Mother Jones Museum. In a short time, I’ll be posting a “teaching Ludlow” blog as well. It was good seeing both Rosemary Feurer and Anthony DeStefanis on Friday at the start of the Ludlow symposium, though unfortunately I had to leave for another speaking engagement before the event got into full swing. I appreciate their work, and insights, and look forward particularly to Anthony’s project on the National Guard. When I wrote Blood Passion: The Ludlow Massacre and Class War in the American West (Rutgers University Press, 2007), I had hoped it would be a launching point from which others could move into potentially richer veins of research. I claim no credit for the more recent projects, but it is gratifying to see more work being done on Ludlow and the coalfield war and I hope it continues, and expands. But my primary goals when I decided to research and write Blood Passion were to establish a foundational level of detail, and take a step back from the legends to look at the reality of what happened. I’m a journalist, and key to that craft is questioning how we know what we think we know. In the case of the Ludlow Massacre, we know it was a massacre because that is what it is called, and how it was marketed with brilliant success by the pro-labor forces then, and now (I, too, am pro-labor, and once spent 18 months on a picket line). We have a responsibility, though, to burrow beneath the lore to the details of the events. As I mentioned during my presentations last week around Colorado, not everyone agrees with my analysis, which is fine – that’s the nature of historical inquiry. But in their blog posts, Anthony and Rosemary misconstrue what it is I have written, and what I believe. I'm not going to do a point-by-point rebuttal, but a few things bear a response. Anthony writes: For Martelle, the deaths of fourteen women and children and six striking miners and union officials at Ludlow were not a massacre, but instead were "the result of criminally negligent acts by the Colorado National Guard, private mine guards, and strikebreakers as they torched the camp." The quote is accurate; the context is not. The deaths of the 11 children and two mothers were unintentional (arson); the others who died that day were the results of direct acts of intentional violence (gunfire). And I don't conflate the 10 days of rage that followed with the deaths at Ludlow, as Anthony states. I write quite clearly that they were separate but connected moments within the broad sweep of the eight months of violence. Key here is that nothing in the records suggests that the National Guardsmen who torched the Ludlow tent colony on April 20, 1914, knew that the 11 children and four women (two survived) were hiding in the pit below the wood-floored tent. As the fire raged above, all 11 of the children and two of the women suffocated, the oxygen they needed to survive being consumed instead by the fire. Were the deaths the result of a criminal act? Decidedly so. By today’s standards, the National Guardsmen committed arson with a blatant disregard for life, at the least a charge of criminally negligent homicide in many states. However, we perceive of massacres as intentional killings. The National Guard’s intent here wasn’t to kill, but to destroy the tent colony (they had done so earlier at Forbes, though without fire). Thus my quibble with the term “massacre,” which in no way marginalizes the significance of the 13 deaths. More problematic to me were the cold-blooded murders by National Guardsmen of Louis Tikas and two other union men. Unarmed, they were summarily executed while in custody, an atrocity and war crime for which no one was ever held to account. But those deaths lacked the emotional drama of the deaths of women and children, so it didn’t resonate nearly as well, or as far. As I also pointed out in my talks last week, the early acts of strike violence were instigated by the strikers, not the coal operators’ thugs and mine guards, though I do argue that the coal operators’ hiring of the Baldwin-Felts Detective Agency gunmen created an environment, even an expectation, of violence. More broadly, the workers were victims of corrupt economic, political, and legal systems. They chose to stand together and fight on their own behalf, which I find admirable (I call them freedom fighters in my book). But I also asked a question last week with which I still wrestle: Was the violence, and the deaths of at least 75 people over those seven or eight months, worth it? The miners lost the strike. Conditions in the mines, and in the political, economic and legal systems, didn’t change as a result of the walkout and violence. Democratic institutions – a state court tossing out a rigged election, and voters ousting an incompetent governor – eventually led to changes. A chastened John D. Rockefeller Jr. adopted an early model of a company union (no solution, that, but it has to be marked as progress from what existed before). So one could argue that the violence was for naught. On the other hand, I doubt those political responses, or Rockefeller’s sudden interest in his workers’ welfare, would have occurred without the violence. So maybe the violence did effect change, albeit indirectly. Also, Rosemary writes that I (along with Thomas Andrews) “contend that use of guns by the strikers was hidden in previous histories.” I have contended no such thing. Nor do I “contend the distortions start with Woody Guthrie’s song about the events.” As I wrote in my book, the distortions began almost immediately; Guthrie's song came nearly three decades later. I do believe that previous histories gave insufficient weight to the violence throughout the course of the strike; until my book, no one had even attempted an accounting of the dead. And with the 75 victims as evidence, clearly the strike, and the violence, extended far beyond that day at Ludlow. Rosemary also writes that the miners fought with their children in mind. That is unknowable without records from the miners of what they were thinking, records I have not encountered. And while I don’t have the breakdown at hand, a large proportion of the miners were single men without families. As for Rosemary’s point that decentering the massacre also decenters the role of women: I don’t see it. Putting deaths within context should be our overriding interest. As I said several times during my week of talks in Colorado, I am eager to read fresh, well-researched works exploring the role of women in the strike, which was significant, from Mother Jones’ exhortations and agitations; to the miners’ wives who apparently held together the camps, and their families, through significant strife; to the political pressure that women’s groups sought to wield in Denver. Rosemary might consider making that her next project, given her deep interest in the subject. Other voices yet to be heard, largely because the records don’t seem to exist: The scabs’ perspective. And I'm hoping Anthony's book-in-progress will give us a better view of the National Guardsmen's perspective. There is a lot of interesting work still to be done on Ludlow and the events in Southern Colorado. But it needs to be rooted in verifiable fact, and not shaped by a romanticized view of how the actions played out. Our pursuit of history needs to be dispassionate, clear-eyed, and unfreighted by legend, no matter how compelling, or deeply ingrained, the legends might be. Thomas Andrews is an Associate Professor of History at the University of Colorado, Boulder. He is the author of the Bancroft Prize-winning Killing for Coal: America’s Deadliest Labor War (2008). Let me cut to the heart of the matter: I consider Ludlow a massacre, and never in either Killing for Coal nor anywhere else have I stated otherwise. My Killing for Coal and Scott Martelle’s Blood Passion are, despite some convergence, very different books. Scott and I differ on several counts; most relevant to this discussion, he stands by his position that Ludlow was not a massacre. As I clarified at the outset, this is not a position I have ever held. Anthony DeStefanis’s contribution acknowledges this; Rosemary Feurer’s ignores it, unfairly lumping Martelle and me together. Feurer not only makes several errors of fact—like Martelle, for instance, I trace the “Ludlow-as-massacre” narrative to the Ten Days’ War itself, not Woody Guthrie. More important, she misconstrues the nature of my enterprise in Killing for Coal. As DeStefanis recognizes, Killing for Coal begins with a discussion of the competing narratives about Ludlow that competed for adherents in the tumultuous wake of the massacre and the Ten Days’ War. One of the obstacles I encountered very early in my research stemmed from the near-total polarization that had descended upon Colorado throughout the 1913-’14 miners’ strike. By framing the book in this manner, I hoped to invite readers to rethink this conflict—to suspend easy associations and preconceived notions, thereby encountering the strike anew. I trusted that I could let readers determine for themselves how to make sense of Ludlow. Though I repeatedly avoid calling Ludlow either a battle or a massacre in Killing for Coal—a choice this forum gives me some cause to regret--Feurer’s response constitutes the first time I know of in which any reader has intimated, let alone stated, that my book claims that Ludlow was not a massacre, and should not be called one. Feurer also misunderstands my work in a second important respect: She misses the boat regarding what I think is new (or, more accurately, new-ish) in my book and what is not. She seems to suspect that I have deluded myself into believing that I discovered the Ten Days’ War, a subject that has been sitting in plain sight all along. Feurer is, of course, absolutely right that virtually every book-length history of Ludlow addresses the uprising that followed, often in considerable detail. Nowhere have I suggested, though, that my book’s take on the coalfield war offered a frontal corrective to the works Feurer rightly admires—the august books by Beshoar, McGovern, Papanikolas, Zinn, and Long. Rather, I’m far more concerned with popular memories, an admittedly elusive entity, as well as scholarly glosses that contain shocking errors (Richard White has the massacre occurring in 1917, Alan Dawley repeats the longstanding body count given by the UMWA in the days following the massacre that 66 strikers died, and a panoply of sources wrongly claim that Ludlow was a mining community and a Colorado Fuel & Iron company town, when in fact it was an unincorporated village several miles distant from any mine of importance). Killing for Coal began as a dissertation, and I certainly would not have had a prayer of convincing my committee to approve it had I simply hewed to the interpretations of previous scholars. The difference between previous works and my book, then, is not that I document the Ten Days’ War while others overlook it; such a tack would have been cheap and mendacious. Instead, I use the strikers’ rebellion to lay out the core question of the book: Who were the strikers, what were they fighting for, and what processes and events had brought them to launch this remarkable struggle—and to prosecute it so effectively in the wake of the Ludlow massacre? Crucial to my point-of-departure is the fact that UMWA leaders signed a truce with state officials on April 25th. Despite energetic pleading from John Lawson and others, though, the strikers stuck by their guns (and, of course, to other means of struggle—this was a kind of total war, after all) and continued to fight until Woodrow Wilson dispatched federal troops to the strike zone. While Zinn indeed cast the Ten Days’ War as a lesson in what Feurer calls “the ‘fighting spirit’ of the union,” I’m far more interested in the fighting spirit of the strikers, which is not quite the same thing. Implicit in my entire approach, after all, is a key premise: the events of the strike itself are necessary but insufficient to explain the massacre and the uprising that followed; the same goes for a top-down perspective that privileges union leaders above rank-and-file strikers. This brings me to a third and final rebuttal of Feurer: She wrongly minimizes the importance women and children play in my analysis. I’d be the first to admit that my book would have benefited from more depth and breadth in this regard. Men (and, to a lesser extent, masculinity) do inhabit the bulk of Killing for Coal. But I think that Feurer unfairly overlooks numerous instances in the book where women and children play key roles. She also neglects the overarching question that the final three chapters of Killing for Coal collectively address: Why did women and children come to play increasingly central roles in labor conflict in the southern coalfields, and how did a string of conflicts that initially focused rather narrowly on workplace-centered issues morph in the early decades of the twentieth century into a sweeping struggle for civil rights, economic freedom, and democracy? Feurer is certainly right that Priscilla Long has done a better job on the far-ranging and vitally important roles women played in the great coalfield war. There nonetheless remains much more work to be done on women and children—before and after the 1913-’14 strike, as well as during the conflict. For all this, Feurer is simply wrong when she alleges that I treat women and children as peripheral to the massacre and the larger contexts in which it was enmeshed. I would urge readers of this forum to draw their own conclusions about Killing for Coal instead of accepting Feurer’s mischaracterizations of my work at face value. By way of conclusion, I want to draw the attention of LAWCHA folks to two recent accomplishments of the Ludlow Centennial Commission here in Colorado: the passage by the state legislature of a resolution commemorating the centennial of the massacre and acknowledging (tepidly, at least) the state’s culpability in these tragic events; and the completion of a set of primary sources on the Colorado coalfield war for use in secondary and college history courses, authored by yours truly (please email me at [email protected] for a copy). And yes—I do call Ludlow a massacre in these teaching materials. The West Virginia Mine Wars Museum has just finished its third year open in Matewan, and what a year it was. I think something that is missing from the discussion on whether or not the events at Ludlow constituted a massacre. What were the intentions of both sides of the conflict. The mine owners wanted to intimidate the strikers to give up the strike through the use of force. Innocent people were killed by the actions of the Colorado National Guard and detectives of the Baldwin-Felts agency. The burning of the camp had become a tactic after the burning of the Forbes camp a month earlier. There is no reason to believe that the burning of Ludlow was not premeditated. Therefore the killing of the women and children was the result of a planned action, a massacre. It should also be noted, that after Ludlow, the miners attacked the infrastructures of the mines. They had the capability to do this from the beginning of the strike, but refrained from doing so. People were killed in the 10 day war, there can be no denying that, but the miners did not hunt down and target the people responsible for the attack. Great comment. I agree that the burden of evidence shows the burning of the camp was premeditated.Both Martelle and Andrews seem to think they can be blamed for the fire. But then they still argue it wasn’t a massacre even when acknowledging that the weight of evidence shows that. There is more to say about premeditation before the fire. I take that up in my book, which will be out soon. I agree strongly with Rosemary and most of the commentators. Also, while this kind of “revisionism” may have some exchange value in an America with a single digit labor movement and a crumbling higher education system, its use value in terms of understanding both U.S. history and what the events at Ludlow tell us about it is very limited. Below I have cut and pasted documents that I sometimes send to be my students on Ludlow as an example of pre New Deal labor relations and also of the outlook of the “captains of industry” toward workers. They are primary documents from PBS’s American Experience, which deals with the correpondence between Rockefeller Jr and his subordinates. While the intro mentions Jr’s subsequent charitable work(not mentioning the Foundation, which has a very tangled history) specifically, the documents really speak for themselves. I would say that the family got a lot smarter in PR subsequently(and of course the Foundation and similar foundations of large capitalists, besides the obvious PR benefits, were responses to the constitutional amendment which made a federal income tax, which the big business dominated Supreme Court had declared unconstitutional 20 years before, constitutional. The Ludlow minesA lot more than 2,000 miles separated the Rockefeller estate from Southern Colorado when on Monday April 20, 1914, the first shot was fired at Ludlow. One of history’s most dramatic confrontations between capital and labor — the so-called Ludlow Massacre — took place at the mines of the Rockefeller-owned Colorado Fuel and Iron Company (CF&I). The face-off raged for 14 hours, during which the miners’ tent colony was pelted with machine gun fire and ultimately torched by the state militia. A number of people were killed, among them two women and 11 children who suffocated in a pit they had dug under their tent. The deaths were blamed on John D. Rockefeller, Jr. For years, he would struggle to redress the situation — and strengthen the Rockefeller social conscience in the process. Contemporary voices provide a rare window into the divide that separated the Rockefellers from some of the harsh realities tied to their business decisions. They powerfully illustrate the clashing viewpoints that were at the heart of the crisis and shed light on Rockefeller’s ultimate transformation. Protestors label Rockefeller a murdererThe Ludlow camp is a mass of charred debris, and buried beneath it is a story of horror imparalleled [sic] in the history of industrial warfare. In the holes which had been dug for their protection against the rifles’ fire the women and children died like trapped rats when the flames swept over them. One pit, uncovered [the day after the massacre] disclosed the bodies of 10 children and two women. John D. Rockefeller Jr.There was no Ludlow massacre. The engagement started as a desperate fight for life by two small squads of militia against the entire tent colony … There were no women or children shot by the authorities of the State or representatives of the operators … While this loss of life is profoundly to be regretted, it is unjust in the extreme to lay it at the door of the defenders of law and property, who were in no slightest way responsible for it. MinersI am writing more and more to urge you to leave to me the petty details of the houses, places, etc. even though I realize they will not be as well or as inexpensively done; and throw the full force of your thought and time into the big, vital questions that come before you. We are all partners in a way. Capital can’t get along without you men, and you men can’t get along without capital. When anybody comes along and tells you that capital and labor can’t get along together that man is your worst enemy. We are getting along friendly enough here in this mine right now, and there is no reason why you men cannot get along with the managers of my company when I am back in New York. To me, this was and always will be a massacre. yes, the miners fought back, but they were not the ones with superior fire power. My great grandfather and his family were in the strike camps in 1914. My grandfather remembers being cold and hungry out on the plains east of Ludlow. He and his brothers and mother were out with other families next to the “Dinosaur Butte” on railroad flat cars. Great grandpa had moved them out of the camps because he was afraid of the machine guns on the hills around the strike camps. Thanks for sharing this powerful memory. Do you have materials from your great grandpa? That is a very powerful story, Jaye. And I second Rosemary’s question about materials. It would still have been a massacre, even it had been the result of an unplanned loss of control (as in Boston 1770). I think of a massacre in terms of outcome not the intention of the authorities. I realize that the current bipartisan agreement is that businesses and government officials are not responsible for criminal outcomes unless intentionality can be proven. Right. Criminally negligent acts resulted in massacre. As a labor historian who has written (with my colleague, Nando Fasce) in the journal Labor about the struggle of southern Colorado miners to organize unions (albeit in the period ten years prior to the more famous or infamous Ludlow events) I want to applaud Rosemary and Anthony for their posts and their opening up of a discussion about the larger meaning of what happened in that strike and what followed it. Writing about the Ludlow Massacre and not noting the armed response of the miners in its aftermath is akin to John Sayles making a film about the Matewan Massacre (we seem to have no problem calling that one a massacre, by the way, when it was miners shooting down the Baldwin Felts guards in 1920!) and never mentioning the assassination of Sid Hatfield in Bluefield the next year and the 1922 Battle of Blair Mountain that followed (which had eerie parallels to what happened after the Ludlow Massacre). I don’t think the argument about whether the burning of the tent colony by the National Guard was a massacre or not is going to take us very far (I happen to think that Rosemary nailed the right response to that question in her post). What’s more important is to set the Ludlow massacre in the broader context of the decades long fight by coal miners and their unions (not only the UMWA but also the Knights of Labor and the WFM) to break the iron economic, political and ideological grip of the coal barons in the region and on the industry. Thomas Andrews accomplishes a lot of that in his very good book, but there is much work still to be done (as my old friend, Herb Gutman used to say all the time about labor history). We are better served if we turn our attention to the unknown and unsung efforts of the workers and their leaders in the coal camps (many of whom remain sadly unknown and unsung), and do the best we can to figure out what they thought and how they acted across the long stretch of intense industrial conflict that pockmarked the history of the West. BTW, I couldn’t help but note that DeStefanis mentions removing the “yolk” of victimhood from the miners’ necks. For an Asst. Professor of history, he will probably have a hard time removing the egg on his face from this gaffe. These posts were written quickly because there was an obvious time constraint involved after Rosemary and I returned from the symposium. There wasn’t time for proofing and editing as there usually is, so thanks for your “help.” I really appreciated it. Thanks for pointing out the spelling error. I have fixed this in the original. This is something that happens to the best of writers. Remember that these blogs were written at a rapid pace, too. Thanks so much for writing about this episode in the coal mine wars. So important to pass on the true history of labor’s struggles, especially with unions on the defensive. Perhaps LAWCHA could sponsor a symposium on the coal mine wars, I know Kevin Corley, who wrote the just released SIXTEEN TONS, would like to contribute to the discussion. I certainly appreciate Scott Martelle’s efforts to interpret Ludlow fairly and appreciate his attempts to separate emotions and political agendas from historic facts. This is often the hardest thing for historians to do but I hope we all agree that it an especially important characteristic for “teachers” of history. None of us want teachers at any level, from elementary through graduate school, trying to propagandize our young people. I love sharing interpretations of historic events and often change my mind as new information is uncovered. I have learned however to beware of historians bearing false interpretations. Too often historians twist historical interpretations to fit their current political bias. Future historians will, of course, have their own agendas. Hopefully, they will be less partisan than we often see in today’s world. As a history teacher, I believe that the best way to educate our students is to present what information we have available, encourage them to do extra research on their own, and then take time to discuss the views they have developed. Lessons such as this will be remembered for a lifetime and not just until the next test is over. To present conflicting information I enjoy seeing teachers who play the role of each side such as Rodney Redneck vs. Billy Beatnik or Confederate General vs. Union General. At the end of a school year students should not know if their teachers are Republican or Democrat, socialist or capitalist. past we must understand what makes humans act the way they do. The problem with teachers playing a type is sometimes types are steretotypes. Who is Rodney Redneck except a stereotype? I know students like this sometimes, but wow, what a situation fraught with problems if reductionism. I also don’t accept a fraud on students by not sharing your perspectives. That means students will think that picking a position in the middle of whatever is left or right at the time is the best thing. History is sometimes not presenting all sides of views as equally valid. Would we do that for slavery? Do you as a teacher pretend to be a slaveowner and try to defend that position and have students think that is a valid position, then or now? And if you say it was a valid position, how to you present that information? We are humanists, so it’s ok to take sides and have students think of themselves in human positions. Wesure aren’t going to agree on this one but isn’t it fun to have these discussions? didn’t find ourselves maintaining the status quo. We learned to think for ourselves. Also, what you think of as being status quo may someday be recognized as the ingredient that prevented our societies decline into decadence. And yes, I believe it is a marvelous teaching tool to portray a slave owner’s perspective and defend their position. Through that process students are able to develop sound arguments and not just try to “shout down” the people they disagree with, which is what we see so often in today’s society. I would prefer that history teachers go overboard making an attempt to teach a balanced approach rather than try to brainwash their students with far left or far right positions. Just as you believe that your instruction method will teach students that human nature is not static, I believe that my “inquiry method” will teach it better and provide a much longer lasting skill. As far as Rodney Redneck and Billy Beatnik goes, isn’t “political correctness” often used as just another way to silence people who don’t agree with one’s ideas? You are probably a great teacher but there are many, many history teachers who push their political agendas not only in the classroom but also in their interpretations of events such as Ludlow. These are the people that students, parents and school officials need to beware of. Maybe I need to be clear. You think of Rodney Redneck in stereotypical terms,yet you don’t even see it or acknowledge it, to yourself or your student. It’s a bias on your part. There are multiple reasons YOU are choosing to stereotype someone. You have naturalized a bias and yet don’t even see it. It is so condescending. I am not asking anyone to push a political agenda, but in order to start we have to acknowledge to our students that everyone approaches topics with a bias. There is no balance to be achieved, no way of looking at evidence clearly unless we acknowledge that we have a working theory about how the past works. Those who refuse to acknowledge their theory are fooling themself, or are just so mainstream that they don’t realize their position. Unless we acknowledge our bias and use evidence to prove out point, the people who don’t go down the middle will stick out as politically incorrect. IT’s how we get such labels–instead of dialog. We can only effectively examine and use evidence when we acknowledge our bias. Pretending we don’t have them is dishonest and lacking in integrity. I’m glad you don’t think teachers should force a political agenda. Having a bias and a working theory is fine. We seem to agree there. Yes, I am condescending when stereotyping the far left and the far right historians and politicians who try to manipulate young people. Or is it stereotyping if the way we portray them is true and backed up with facts? Speaking of stereotyping let’s get back to the topic of Ludlow. Have some historians stereotyped the National Guardsmen who were at Ludlow? Why do some seem to lump the Guardsmen all into one category as blood-thirsty monsters? Didn’t some Guardsmen defy orders and go into the field and help the wounded? The question is, was Ludlow a premeditated massacre? Again, we have to understand that historians are humans trying to get into the heads of humans who are long gone. 13 of those killed at Ludlow died together in the tragic “black hole”. A student of history might ask how dozens of National Guardsmen armed with machine guns and high powered rifles and firing for an entire day into a valley filled with 1,200 people would have only shot and killed a dozen people. Students might also ask: Could it be that the Guardsmen were ordered to fire but that didn’t mean they had to try and hit anyone? When looking at the law of averages in dealing with human beings it would be logical to assume that, of course, there would have been a few blood-thirsty shooters on both sides of the conflict. Aside from the 13 in the black hole the small number who actually died from direct gunfire might tell us that murder did not come naturally to most of those doing the firing. One of my former students saw this and told me to tell you that I do acknowledge in my classroom that Rodney Redneck and Billy Beatnik are stereotypical. By doing this we laugh at stereotypes. She was amazed that you act like you know how these characters were used and are so quick to judgment. It is amazing that you try to condemn someone who tries to achieve balance and allow their students to learn to think for themselves. I doubt that is what you are trying to say unless you are attempting to rationalize your own prejudiced way of teaching. Maybe you should show this conversation to your students and ask what they think. By the way this is my very first time using social media. I much prefer discussing things while sitting on a porch drinking coffee. what happened in that strike and what followed it. Felts of Matewan sheriff Sid Hatfield in Bluefield the next year and, more importantly, the 1922 Battle of Blair Mountain that followed (whichhad eerie parallels to what happened after theLudlow Massacre). the long stretch of intense industrial conflict that pockmarked the history of the West. crafting the name for a fight for posterity, and that is preposterous. say, “we’re still here” to the company..
jobs that led him to become press agent for Adoph Hitler! massacre. Stephen Brier is right. We need more context. studied and this is not one worth a lot of our time. I do have other responses to what you’ve written, but this has gone on long enough. In discussing the issue of miners using violence to protect themselves from gun thugs and national guardsmen, it’s helpful to recall that the mine owners perpetrated violence against the miners for decades in the form of little or no safety regulations (the miners themselves were responsible for safe conditions; hence stories of them “topping” their section to detect an unsafe roof), no protection of the lungs, poor hygiene facilities in the company shantytowns, which led to cholera, dysintery, etc. But even more crucial, remember that the mine owners had the power of the state in the form of armed police and national guard to preserve their anti-union, oppressive working conditions, such as charging miners for equipment, clothing, forcing them to buy at the company store, blocking competing merchants from selling goods and food in the town, lowering wages, etc. The threat and the administration of state violence was ongoing at that time, hence, the miners and their wives and mothers were forced to counter it to some degree with their own weapons. Tim Sheard, editor, Hard Ball Press, publishing Sixteen Tons, a novel of the coal mine wars. Excellent point. We need to stop thinking about the state as “autonomous” in the context of labor struggles. It is heartening to have the unequivocal statement from Thomas Andrews that he feels Ludlow was a massacre. In fact, I never claimed that Andrews said it was not a massacre in my blog. I only suggested that Andrews’ book, in attempting to decenter the massacre, reinforced Martelle’s perspective. retributive violence to take control of Forbes, a camp that was the center of the union battle and mine corporations’ power, should be remembered in the same way that the killing of unarmed children and women or those waving a white flag, like Louis Tikas. I can’t see these as equally worthy to commemorate. It is important to remember that retributive violence that occurred to take possession of the coal fields was different than that meted out at Ludlow by people such as Captain Linderfelt , who considered these immigrants seeking a union as savage and uncivilized. postemancipation era” (Andrews p. 287) is incorrect. Even if one counts the entire strike deaths from 1913-1914, it doesn’t measure up to the 1877 railroad strike uprising for example. We need to also ask what we are doing when we assess body counts. As someone who has thought a great deal about this, we need to tread carefully. I regret that I used a truncated commentary by writing that both Martelle and Andrews view that the “distortions start with Woody Guthrie’s song.” I was clearly misrepresenting what both authors say by using the word “start” when I should have written “were carried forward” which is what I was thinking. But both authors misrepresent that song in their treatment. I’ve always hear the entire song as one indicating rebellion not martyrology. In respect to the charge from both Andrews and Martelle that I made an error of fact in suggesting that they misrepresent previous scholarship or even popular memory, I stand by that claim. On p. 15 of his book, Andrews writes, “By making victimization the main story line of a struggle in which strikers actually inflicted more deaths than they suffered, historians have treated men, women and children who demonstrated tremendous capacity for action as having been almost entirely acted upon.” In the margins of my copy, I see that I wrote “Who are these historians? When did anyone write this story as one of victimization?” The footnote to Andrews statement lists only Howard Zinn’s People’s History and Melvyn Dubofsky,The State and Labor in Modern America, but to his credit Andrews suggests in that same footnote that Zinn uses the story as an example of “the undeterred spirit of rebellion among working people.” In fact, Zinn was summarizing the literature in the field. the many insights I gained from Andrews book. Like him, I am interested in these vital issues of space and workplace, violence and memory. I found many compelling and worthwhile insights on that score in his book. Other recent accounts suggest more ways of seeing this struggle. John Enyeart’s (The Quest for “Just and Pure Law”: Rocky Mountain Workers and American Social Democracy, 2009) puts it in the context of a long term struggle for social democracy and law among Rocky Mountain workers. Another way of seeing it is included in David Roediger and Elizabeth Esch’s The Production of Difference (2012). This is by far the most discussion I’ve seen coming out of a post on labor online. There most be somthing here that touched a nerve. Hopefully it’s the Ludlow Massacre. Maybe it’s just me, but the part of the post that stuck with me the most were the words of Helen Korich, the Croatian girl. I’m not sure how we balance that perspective, nor how we balance the killing of children, with the guardsmen’s perspective or the bosses’. I guess I’m biased. As for context, the more the better, that’s what we do right? It’s May Day today, a good time to reflect on who we’re in solidarity with. I choose the children murdered at Ludlow. I can imagine that others have done the same in the past-from those engaged in the 10 day war, to those who remembered them decades later. Who else is going to keep their memory alive? Who else is going to put the story in the proper context? Whose history is it?